Having your car serviced at regular intervals will help to maintain its performance, economy and roadworthiness to optimum standards. Having it serviced at Service-plus will ensure its maintains its warranty too. Displaying the BCS/OFT logo makes a statement that customers can expect good service, and that a clearly laid down system is in place for the open, fast and fair resolution of any complaints. Many problems with modern cars are beyond the capabilities of tradional mechanics. At Service-plus we have highly qualified Bosch Diagnostic Technicians who can find and fix faults that other garages can’t, using our state-of-the-art equipment and their own expertise. The mechanics at Service-plus are highly trained technicians with the expertise to diagnose problems quickly and accurately and fix them to manufacturers' standards. We have invested in the latest diagnostic and servicing equipment to ensure we never have to send customers away with a problem we can't fix. Our Bosch Service garage accreditation guarantees a quality of work, parts and materials in accordance with manufacturers' requirements. Service-Plus Redhill are a Bosch Car Service Station with highly trained technicians able to diagnose and repair faults. 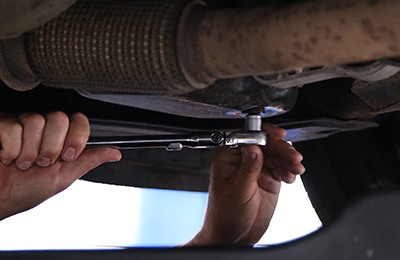 Keep your car purring for years with regular servicing from our knowledgeable technicians, using original quality parts. 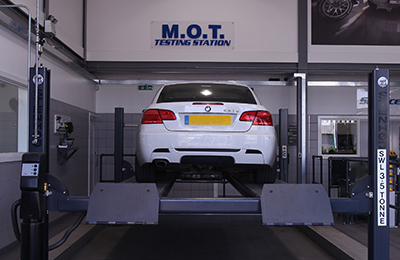 At Service-plus we have the equipment and expertise to put your vehicle through its MoT and swiftly diagnose and fix any failures. Fantastic service, exceptionally friendly and helpful staff. Faultless. I have never known this garage to be anything less than very helpful. I went straight back after my warranty ran out and my tie in with Vauxhall garages ended. Excellent customer care-they go that extra mile to satisfy the customer.